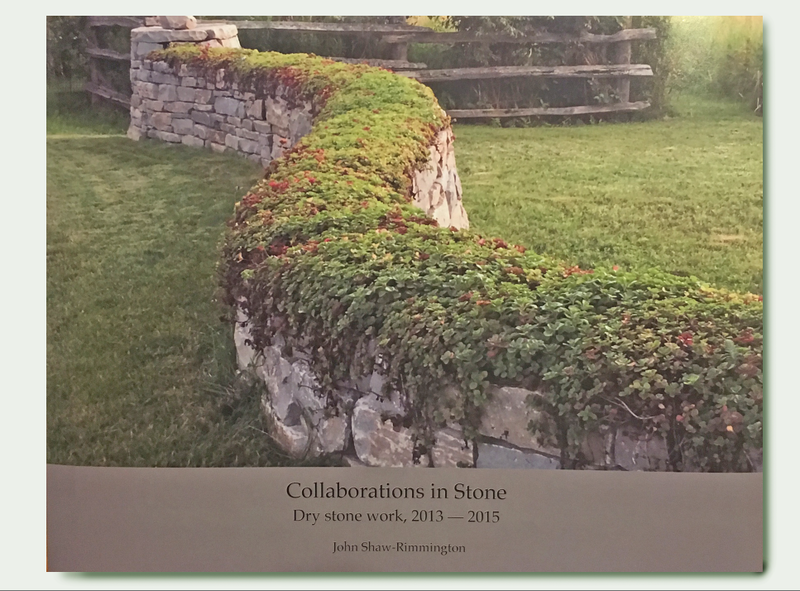 The 80 page book covers the period 2013— 2015 and includes seminars, public installations, restorations, sculptures, stone balancing and other private work. The price of $90 per copy (without shipping) is being charged for this privately printed coffee table book, and represents the actual cost of the book. A third 54-page hardcover book with high quality colour photographs of various features and collaborations involving John's designs and personal work has been now been produced and is available for order. 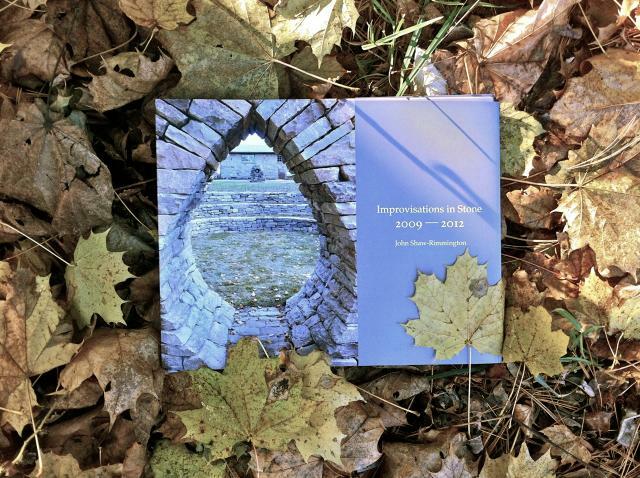 The book covers the period 2009— 2012 and includes seminars, festivals, public installations, stone ballancing and private work (walls, bridges, and features). The price of $70 per copy (without shipping) is being charged for this privately printed coffee table book, and represents the actual cost of the book. 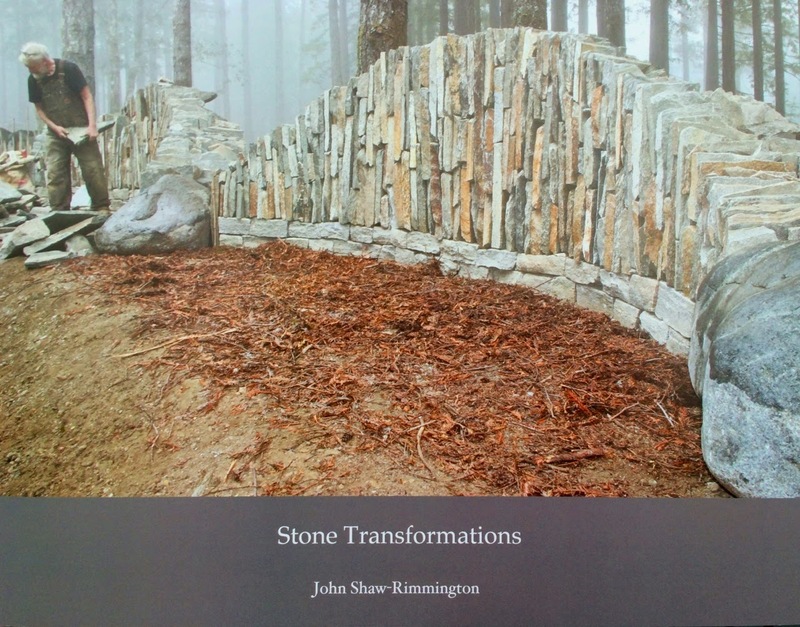 A second 51-page hardcover book with high quality colour photographs of John's dry laid work has been now been produced and is available for order. The book covers the period 2007 — 2010 and includes seminars, public installations, and private work (walls, bridges, and features). A 60-page hardcover book with high quality colour photographs of John's dry laid work was produced two years ago and is available for order. The book covers the period 1996 — 2008 and includes seminars, public installations, and private work (walls, bridges, and features). We are a little embarrassed about the price of $75 per copy but, as this is being privately printed in small numbers, it represents the actual cost of the book.